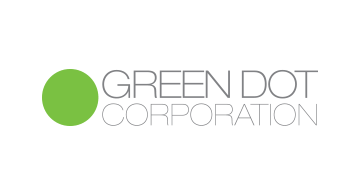 Green Dot Corporation [NYSE: GDOT] is a pro-consumer bank holding company and financial technology innovator with a mission to reinvent personal banking for the masses. Green Dot employs a unique “products and platform” operating model whereby it uses its robust banking and technology assets to design, build and distribute its own branded financial services products directly to consumers. The company’s Banking as a Service offering, enables qualified third-party partners to access Green Dot’s banking and technology assets to design, build and distribute their own bespoke financial services. Through its six revenue divisions plus Green Dot Bank, Green Dot is a leading provider of prepaid cards, debit cards, checking accounts, secured credit cards, payroll debit cards, consumer cash processing services, wage disbursements and tax refund processing services. Green Dot is one of the most broadly distributed banking franchises in the U.S., with the company’s products sold at approximately 100,000 retailers nationwide, through several leading direct-to-consumer websites, in thousands of tax preparation offices, and through several apps available in the two leading app stores. Green Dot Corporation is headquartered in Pasadena, California, with additional facilities throughout the United States and Shanghai, China.